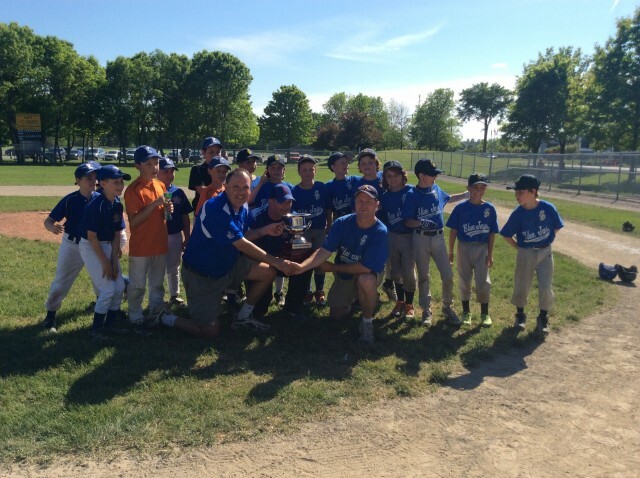 The Cubs-Blues Challenge is the annual tournament held between Kanata Little League and South Ottawa Little league. In this inaugural year, Katata hosted South Ottawa in a one day tournament featuring all 8 Minor teams from each league playing one game against a team from the other league. The Scott Tokessy and Mike Channing fields in Kanata made for a beautiful venue under bright sunny skies on Saturday May 31, 2014. The competition was good and the gameplay was fun for all. Kanata just held on to win the tournament and the Challenge Trophy which comes with the responsibility to host the last weekend in May 2015. We hope to add the Major division next year to make for an even larger and more enjoyable Tournament. We will need to keep our skills sharp as we know South Ottawa will be coming back to try and claim the trophy and the right to win next year!